Suri Cruise bonds with Katie Holmes when they went to art museum in New York. The 6-year-old daughter, who went to Disney World trip with Tom Cruise during the weekend, chose to spend more time with mom Katie at the Museum of Modern Art. Meanwhile, the mother and daughter proceed to the Sculpture Garden, where they are never far from each other. 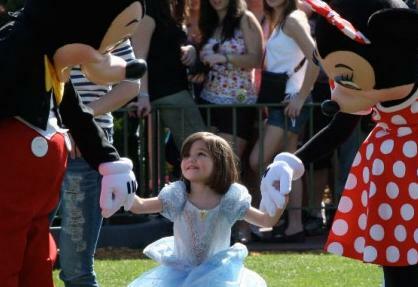 Suri reportedly enjoys the trip since she was singing, smiling and skipping back and forth. Are Melanie Griffith And Antonio Banderas Splitting At Charity Event?